Snapchat and Royal Caribbean have partnered to offer passengers on its cruise liners the ability to record underwater footage using custom Snapchat Spectacles. 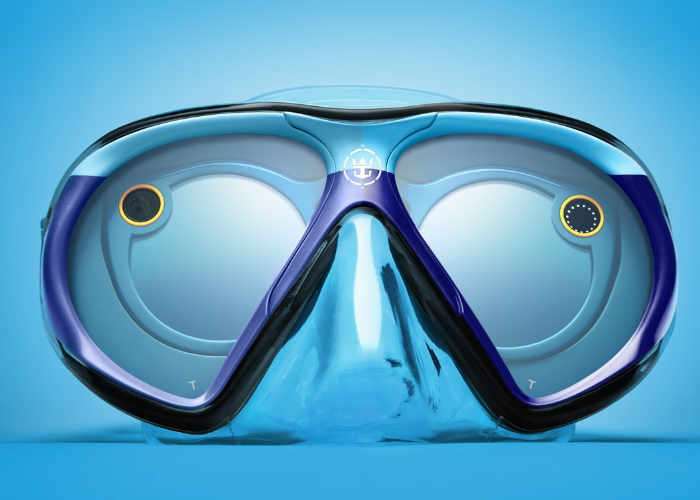 The new underwater video recording spectacles pictured above incorporate both a scuba mask and Snapchat’s new spectaclesAnd have been aptly named SeaSeekers. The Snapchat scuba mask was custom engineered by the cruise line for use with Snapchat Spectacles allowing users to snap while underwater and will give those above the surface a unique perspective into the “intriguing underwater world of marine life”. There will be three dives that will show what it is like to take an underwater adventure through the eyes of three well-known divers. – In Cozumel, Mexico marine wildlife photographer and conservationist Roberto Ochoa will give viewers a rare glimpse into the annual migration of Whale Sharks. – Marine Biologist Gabriela Nava and co-founder of the organization Oceanus, A.C. based in Mexico, will then take viewers to see a coral reef restoration project where she and her team have been working to restore the local reefs. – In Belize, fans can follow along as free diver Ashleigh Baird visits the Great Blue Hole, an underwater sinkhole that is believed to be the largest of its kind. The SeaSeeker will enable all adventure-seekers to get a front-row seat to the thrilling adventures found underwater in a way that has never been possible before. Snapchat continues to be a favorite channel for curious travellers and is the ideal platform for this first-of-its-kind undersea exploration. We are excited to find an innovative way to use the Snapchat Spectacles with our SeaSeeker mask so that we can bring the underwater experience to our guests as they visit the incredible destinations we sail to. We’ve even taken the added step of applying for a patent for the SeaSeekers mask so that we can bring it to our guests exclusively.